K.G. Carlson wrote: There's a big problem with this this Atlas of Earth-Prime; I want a 3e Freedom City sourcebook, around 500 pages, and I want it yesterday!!! Steve is knee-deep in the FC3 book right now! I was a little underwhelmed, it seemed a little high level and glossed over each area real fast. Maybe I misunderstood what this was trying to accomplish. It left a lot of questions for me, maybe its supposed to be a teaser for FC3. JonL wrote: Steve is knee-deep in the FC3 book right now! 31 flavors of awesome news. Thanks! ashton2 wrote: I was a little underwhelmed, it seemed a little high level and glossed over each area real fast. Maybe I misunderstood what this was trying to accomplish. It left a lot of questions for me, maybe its supposed to be a teaser for FC3. It has been mentioned (by me) & recognised by good old JL. He has assured me there is more content for future "issues", but we will see. Just a little something missing in this for an atlas, namely a map. Of course, I tend to equate atlas with a book of maps. Perhaps three in this case: USA, Freedom City, and Emerald City. robertness wrote: Just a little something missing in this for an atlas, namely a map. Of course, I tend to equate atlas with a book of maps. Perhaps three in this case: USA, Freedom City, and Emerald City. We figured maps can be viewed online pretty easily, so we'd rather have art instead of a map. But I understand the idea of an atlas containing maps. 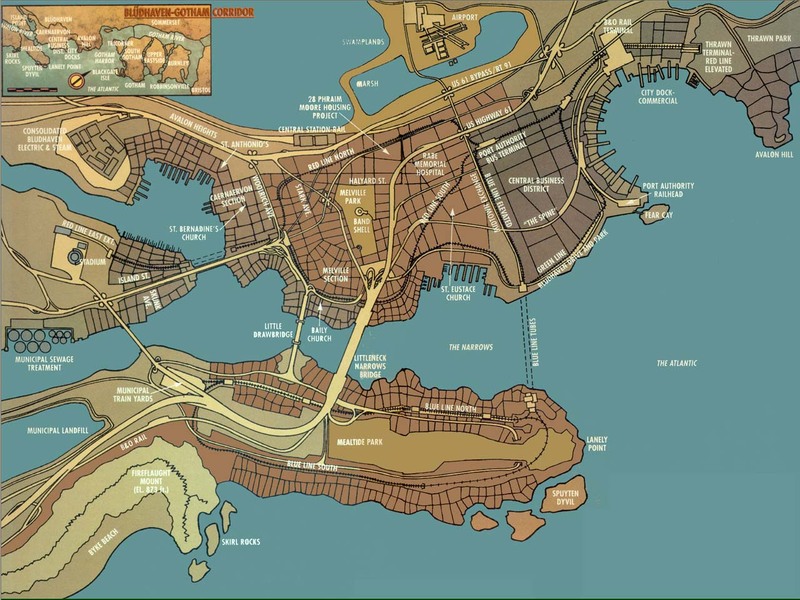 Maps are not so out of place in a comic book universe, however its not like the locations presented in the product so far has been detailed enough, or deep enough to require a map. After all, you only need a map when what you are showing me is actually important & contains important details of a location.... Otherwise any old map will do, since you have no details to show on the map. Gotcha. I didn't know they were available online. Just found the FC map on the Green Ronin site. That's the type of thing certain other game companies hate parting with without getting cash. Thanks! My wiring for spatial relations is such that I often have trouble understanding where A is relative to B from even the best written descriptions. And don't get me started on how lost I can get with a GPS if I haven't examined the route to my destination on an old fashioned map first. thaumonuclear wrote: I don't remember Elite. Who is that? He's one of the Alterniteens from the Hero High books. He hails from an alternate dimension and was trained by a pan-dimensional Assassin's guild named the Murder League. He was very successful until a psychic tore his conditioning apart, either unleashing his natural conscience or implanting a new one in him, and he went on the lam. He was rescued by the Alterniteens and is trying to learn to be a regular teenager superhero, but still has a lot of training on killing versus disabling targets and he knows that, sooner or later, the Murder League will catch up to him and he'll have to eliminate them. 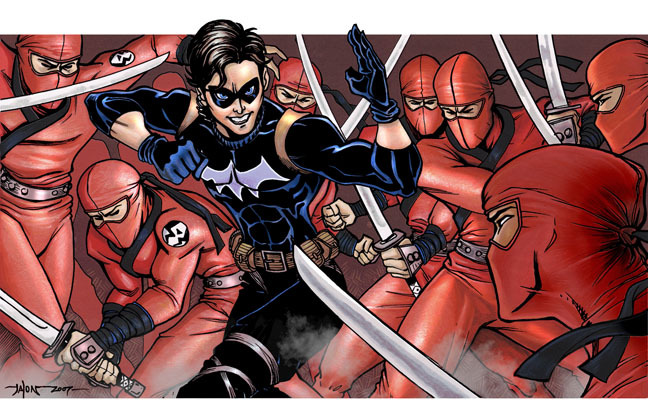 He's kind of a mix between Damien and Jason Todd in the Batman books, trained to be lethal and learning how not to be. Unless something significant happened in his backstory (I haven't picked up this new product yet), he's going to be a bit of a darker and grittier reboot of Raven. Heh, yeah, I know about the convoluted geography of Gotham and Metropolis. I tend to put Metropolis in Delaware, and Gotham City not far away in New Jersey for my own games, as the geography fits fairly well there in most respects. As to the rest of it, I'm really looking foward to the coming atlas articles, and an planning on blending it a bit with the DC Universe book for my own games. Just so everyone knows. Real life has interfered and pushed me back a week on the next Atlas. So instead of coming next week, it'll be the week after. Is this going to be consolidated into a book as well?